Alpha Hydroxy Acid, Relax, This is when Acid is Good For Skin. AHA! So you have probably heard of Coconut Oil and you may know a little something about Argan Oil, but do you know anything about Alpha Hydroxy Acids? I am about to tell you, and take a look at why they make you go Ah-ha! after you apply them to your skin. What Advanced Clinicals has done is so brilliant. Spa Size Alpha Hydroxy Acid Cream is formulated for your face, but what makes it wonderful is that since it’s Spa Size -16 ounces of skin exfoliating, softening and silky lotion – you are able to slather it on wherever you need it, ahem, your entire bod. If you have dry skin on your heels, use Alpha Hydroxy Acid Cream. If you want to focus on your face and sometimes on your legs, go ahead. With such a luxurious amount, you will be thankful you can use this exfoliating cream whenever it seems necessary. But why? What makes AHAs so special? Where do they come from? These naturally occurring acids are derived from plant sugars; most commonly from fruit and sugar cane. They are powerful skin ingredients that remove dead skin cells from the surface of your skin. Alpha Hydroxy Acids, or AHA, increase cell turnover in the skin, and finally improve the skin’s ability to retain moisture. The AHAs featured in this groovy product are Lactic, Mandelic, and Glycolic acids and they are proven to renew your skin and uncover a youthful glow. What else do these AHAs do? AHAs are expert exfoliators. They increase blood flow to the skin and help minimize fine lines and wrinkles. How? AHAs help tighten sagging skin by promoting collagen growth deep in the layers of your skin. Clinical experts in dermatological skin care conclude that our powerful skin-tastic friends, the Alpha Hydroxy Acids, also lighten dark spots and reduce the appearance of blackheads and acne. *FYI on the AHA: Please make sure to wear sunscreen when using this advanced moisturizer as it can increase your skin’s sensitivity to light and without sun protection, you have an even higher risk of burning. Protect thyself. 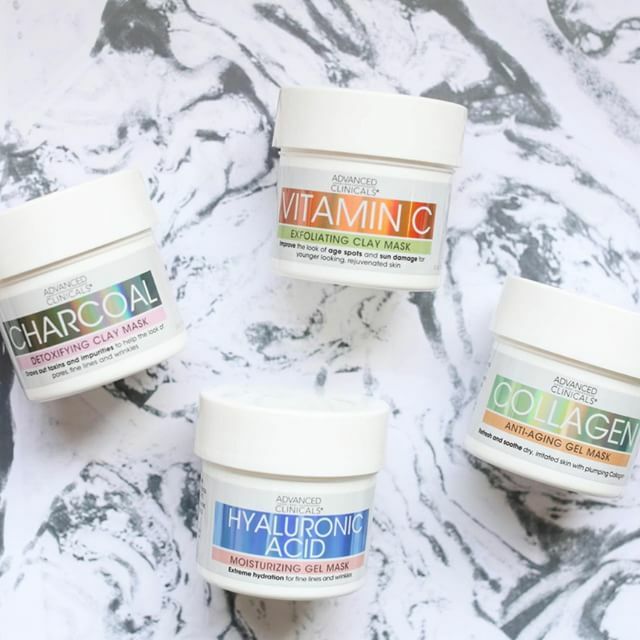 Okay, so we’ve talked about Alpha Hydroxy Acids, but anything else in this cream worth mentioning? Yes. We’ve also included anti-aging antioxidants: Green Tea Extract to hydrate and soothe, Chamomile to calm and relax, and Aloe Vera to restore and soften. Advanced Clinicals Alpha Hydroxy Acid Cream; pump away and find yourself saying, “AHA!” to plumper, smoother, firmer, younger looking skin. Thank you, Alpha Hydroxy Acids. We never knew we’d fall in love with an acid. But we did.